Sleeping on a memory foam mattress can help give you a good night’s sleep. It is a popular choice for a mattress because it moulds to the body based on the heat and pressure which result in an even distribution of your body weight. Once the pressure is removed, as when you get out of bed, the foam will return to its original shape. 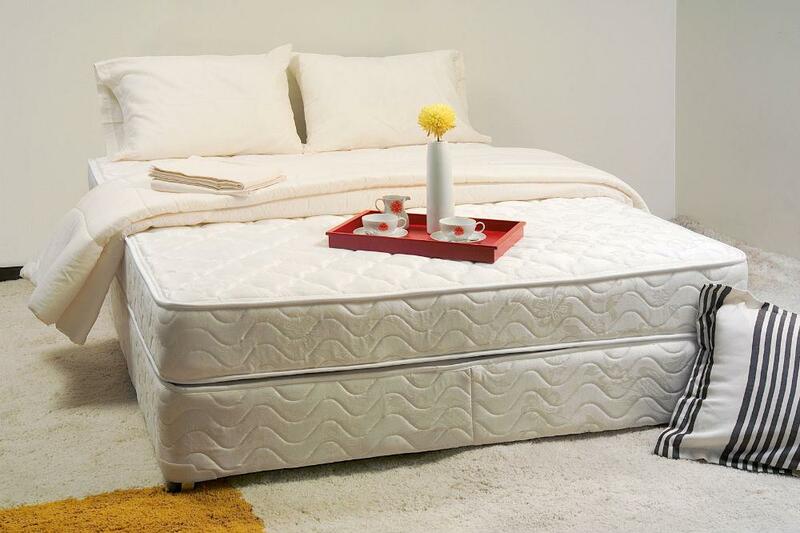 The foam, technically known as viscoelastic, is very soft and comfortable to sleep on. Just like any other mattress, a memory foam mattress should be regularly cleaned to keep it from accumulating dust mites, bacteria and other dirt that can slowly build up over time. However, special care is needed when handling your memory foam to keep it in tip-top shape. To keep dirt from accumulating, regularly vacuum the mattress to remove the dirt from the surface. You can do this at least four times a year, or preferably more. A vacuum can remove dirt like dead skin cells, fur from pets, dust mites, lint and more. Use a handheld vacuum to do this for more control. Put the brush attachment and slowly work your way across the memory foam in a circular motion. For egg-shell types of memory foam mattresses, clean the crevices where dirt commonly accumulates. If your memory foam gets stained, avoid using harsh chemicals that contain ammonia or bleach. These strong chemicals may ruin the foam and it’s interior. To remove stains, use a mild detergent instead, and mix it with water until bubbles form. Use a sponge to blot the stain with the solution and gently clean the stain in a circular motion, starting from the outer part, going to inner portion of the stain. Don’t soak the foam with the solution, use the bubbles that form during the mixing process, and don’t forget to wet only the stained portions. If you prefer a natural solution, you may opt to use a water and vinegar mixture. Fill a spray bottle with half a cup of vinegar and a quarter cup of water. Lightly spray the stain with the mixture and lightly scrub that portion in a circular manner. Using vinegar not only helps remove stain but also any unpleasant odours. To remove tougher stains like your pet’s urine, use an enzymatic stain cleaner. This type of cleaner can naturally break down the stain to remove it, including the odour. Apply it on the stain and let it sit for a couple of minutes before scrubbing the area in a circular motion with a cloth until you remove the stain and the odour. Stains that are soaked into the mattress may require you to press down on the mattress to let the solution seep through to the inner foam. There are stains that can leave lingering odours that can seep through the insides of the memory foam. Stains like vomit, urine, and cigarette smoke have the tendency to leave a bad smell. After vacuuming the surface and sides, remove the odour by sprinkling a generous amount of baking soda on the foam. Leave it for at least eight hours or preferably overnight to soak. After that, clean up by just vacuuming the baking soda off the mattress. You can also use commercial products that target odours you might have. Don’t forget to include the flip side of your mattress. Lightly spray the solution and let it dry before vacuuming away any residue left by the solution. Completely dry your memory foam before using it again. Give it at least 24 hours to dry completely before putting it back on your bed to avoid mildew from forming and destroying your memory foam mattress. Clean your memory foam early in the morning to give it enough time to dry under the sun’s heat. The sun’s heat is the best way to dry the foam. But if there’s no sun, you can use baking soda and sprinkle it on top of the damp portions to be absorbed. Leave it for about an hour or so to do its work. Baking soda will form clumps as it absorbs moisture. Vacuum the clumps, and now you’ll have a mattress dried without the sun. In case there are areas that are still damp, use a blow dryer to complete the process. Don’t use the highest or hottest setting to avoid damaging the mattress.